On August 29, North Korea launched a missile which flew over northern Japan before landing in the Pacific Ocean. This is the first time North Korea has fired a ballistic missile over Japanese territory. 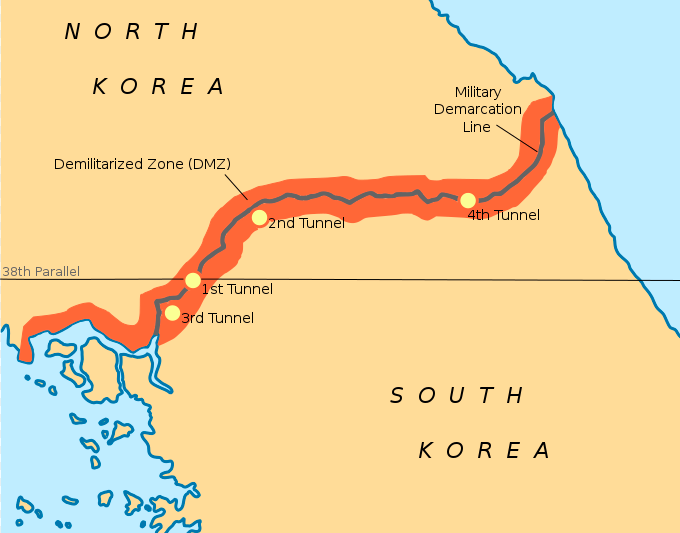 This has upset Japan and some of its allies including South Korea and the United States. North Korea has been working on building weapons that can cause a lot of damage. The United States, South Korea, and Japan have all urged North Korea to stop work on these weapons. Earlier this month, North Korea threatened to attack Guam, a territory of the United States in the western Pacific Ocean. The United States President Donald Trump told North Korea to back off. Tension in the region has been increasing. North Korea has been led by people from the same family since it was founded. 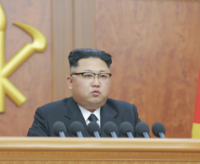 Kim Jong-un (image) is the current leader, and his grandfather, Kim Il-sung, and father, Kim Jong-il, were the leaders before him. Kim Jong-un is believed to be 33 years old. The North Korean government very strictly controls many aspects of its citizens’ lives. There isn’t much communication between North Korea and the rest of the world. It is very difficult to visit the nation and for its citizens to leave. People who disagree with the government are very harshly punished. People don’t have access to many gadgets and conveniences. It is believed that there are food and power shortages in the country. The capital is Pyongyang. 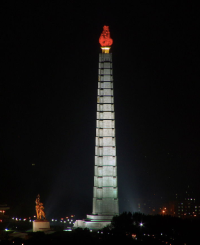 The Juche Tower (image) is a famous landmark. Here is a video about North Korea.